Enter the next stage of Sonic Reality s cutting edge drum instruments! Drum Masters 2 Platinum (Kits Only) is a massive 55+ gigabyte virtual drum collection with the tools to create the most realistic virtual studio drum tracks. You get expressive drum kits with full discrete mic mixing as well as 15 Signature kits and the Drum Masters 2 Ultimate Studio Space convolution library. Enter the next stage of Sonic Reality's cutting edge drum and groove instruments. The Drum Masters 2 series takes a focus on high-end sample collections done with famous artists, producers and studios to a whole new level. A refreshed range of titles covers all your drum needs whether you re a producer, engineer, keyboardist, drum programmer or e-drummer. 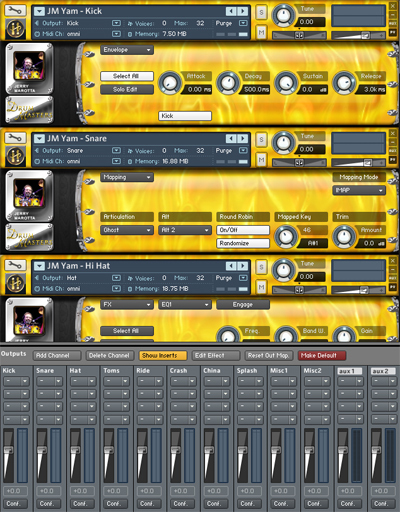 Each work with the Infinite Player powered by Native Instruments Kontakt™ for standalone use with the Mac and PC or as a plug-in for all major DAWs. For new levels of realism in high quality studio drums, Drum Masters 2 Multitrack combines the best of both worlds: Drum Kits and Audio Grooves all in one plug-in. 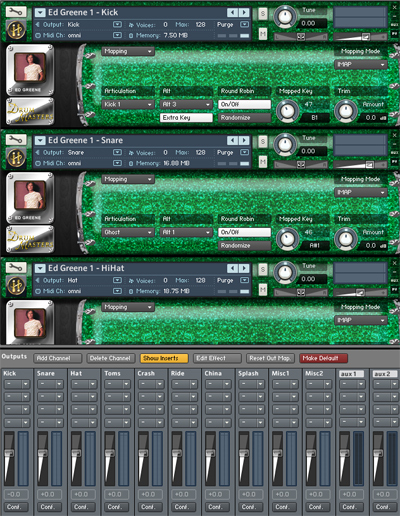 It features discrete 24-bit multitrack drum kits mapped for GM, iMap, V-Drum and a new Custom Mode with MIDI learn for any e-drum kit. 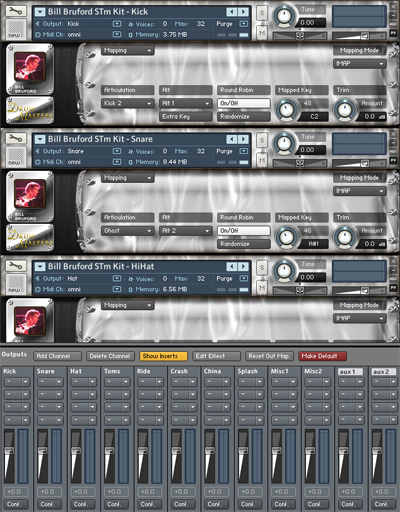 It also has the only time aligned Multitrack Audio Rex Grooves playable from the keyboard that can automatically sync to your host's tempo! 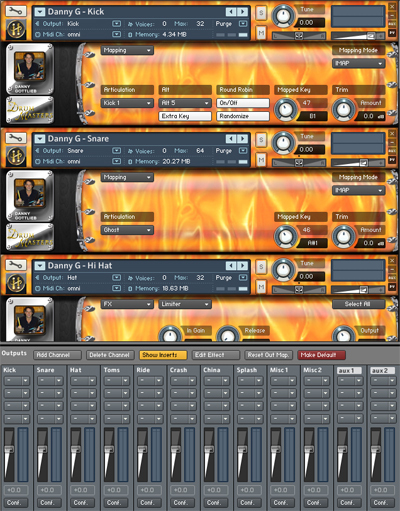 Drum Masters 2 allows you to discretely mix the mic channels of both the drum kits and audio grooves of legendary drummers Danny Gottlieb (Pat Metheny Group), Jerry Marotta (Peter Gabriel), John Blackwell (Prince, P. Diddy), Nick D Virgilio (Genesis, Tears For Fears, Spock's Beard), and Ed Greene (Steely Dan). New version 2 features include GM, iMap™, V-Drum®, Performance and Custom mapping modes for compatibility with any controller or MIDI grooves, an advanced new round robin with alternating hits and more. Audio grooves include a new performance map that allows grooves to be selected and played along side the same kit of that session for seamless switching between MIDI played kits and real live played audio grooves. 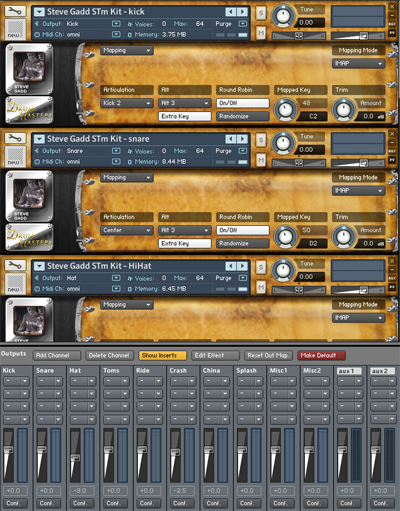 The combination of both kits and grooves done this way offers the most realistic simulation of a live studio drum session in your computer. 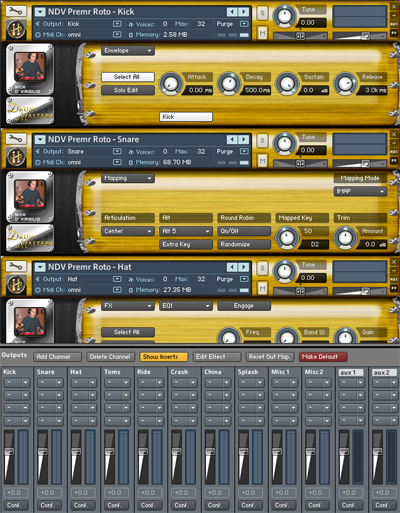 Whether you re looking for discrete mic mixing with Multitrack Kits and Audio Grooves or fast-loading stereo V-Drum™ kits with multi-channel outputs for Rex, Apple Loops and Wave grooves played by legendary drummers there's a Drum Masters 2 title for you. * Requires Sonic Reality’s Infinite Player. * Grooves not including in Kits Only version. Please address any immediate inquiries or concerns to support(at)esoundz(dot)com.